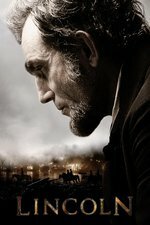 Lincoln is an epic historical drama film directed by Steven Spielberg, starring Daniel Day-Lewis as Abraham Lincoln and Sally Field as Mary Todd Lincoln. The screenplay by Tony Kushner was loosely based on Doris Kearns Goodwin's biography Team of Rivals, and covers the final four months of Lincoln's life, focusing on the President's efforts in January 1865 to have the Thirteenth Amendment to the United States Constitution passed by the United States House of Representatives. The thing I remember most from this movie is Tommy Lee Jones' "Are you wicked?" It's so great. Here's this.. I don't even remember the scene entirely. Some other senator(?) and Jones' senator(? again) just mock-baffled as to why he'd have such a terrible, stupid position. One of the things about Lincoln that was both somewhat shocking and yet at the very same time just felt right was how relatively casual the life of the President was at that point in time. When Lincoln wanted to go out on the street, he just opened the door of the White House and went outside. If he wanted to talk to a bunch of legislators or whomever, he'd just show up, tell a dirty joke, and split. Of course, his own assassination put an end to a lot of that. I remember thinking that Lincoln as a character was written as way too folksy - as in, way too prone to launching into "well, now, that reminds me of something my Pappy used to tell me..." Kinds of speeches in order to Dispense Wisdom. There was even a scene about midway rough when Lincoln is visiting some senate committee and starts to tell a story, and one Senator suddenly groans "oh God, he's about to tell a story, isn't he? I can't bear it," and leaves. And I CRACKED UP at this, because I had been thinking the exact same thing. There are so many faces in this move. Strathairn! Hawkes! Haley! Harris! Nelson! It kinda took me out. The only one I didn't recognize was Daniel Day Lewis, but that's probably the iconic chinstrap beard, the tall hat, the black frock coat. It's interesting to hear the self-righteouness of Stevens, the poison of Stephens, the aggrieved loss of privilege that Wood embodies. If Congressional debate sounded like that today, I'd probably pay more attention.